The famous Viking ship Drakkar, is a symbol of an era just like the Viking axe. This sailboat with a sharp nose in the shape of a serpent or dragon is portrayed in all the Viking myths. Great explorers went thousands of kilometers away from home, entrusting their lives to Drakkar. The head of the dragon, Drakkar, symbolized the special status of the ship owner, and was designed to strike fear into the enemy (to reaffirm their status the owners also wore Odin's ring.) If the Vikings went on a friendly visit, Drakkar was lowered (or hidden), and the shields hanging on the sides ship were wrapped in a white cloth. 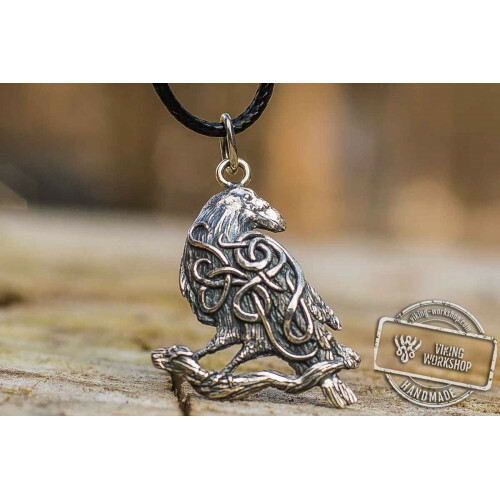 The viking-workshop store offers the reconstruction of Drakkar pendant created by our craftsmen based on an individual project. No two items are alike and no factory stamping - only unique items made of precious materials. Thanks to its simple and elegant design the product is excellent for teenagers as well as grown men. You can order this pendant for your boyfriend and it is sure to make him happy.